Panasonic introduces an addition to its Panasonic LUMIX G Series, the LUMIX DMC-G10, the world’s lightest digital interchangeable lens camera with a viewfinder, which packs a host of advanced digital camera functions designed to be easy-to-use for users new to system cameras. The new compact and portable LUMIX G10, which can record High Definition (HD) video in addition to high-quality still images, joins the LUMIX DMC-G2, also introduced today, as part of the Panasonic LUMIX G Series. The LUMIX G10, with its incredible compact body and portable design, uses a mirrorless structure as part the Micro Four Thirds System standard, eliminating a number of components that are found in a conventional interchangeable lens camera, including the mirror box and optical viewfinder unit. 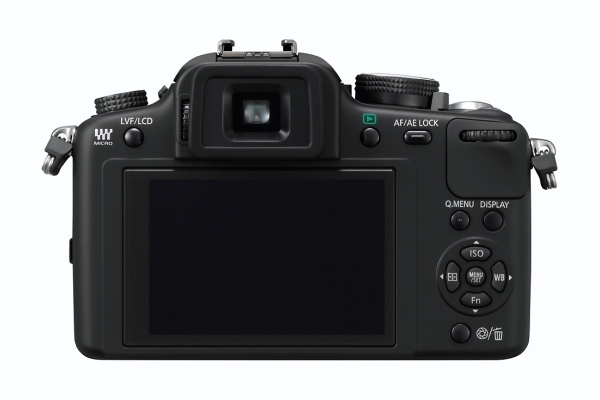 This innovative structure allows for the LUMIX G10 to be the world’s lightest system camera in a compact digital camera design that is a desired feature for new users. Adding to its lightweight body, the LUMIX G10 will come equipped as part of its kit, with the newly announced LUMIX G VARIO 14-42mm/F3.5-5.6 ASPH/MEGA O.I.S. lens. The new lens offers a versatile zoom range of 14-42mm (35mm camera equivalent: 28-84mm), making it suitable for shooting a wide-range of scenes, from dynamic landscape to portrait. 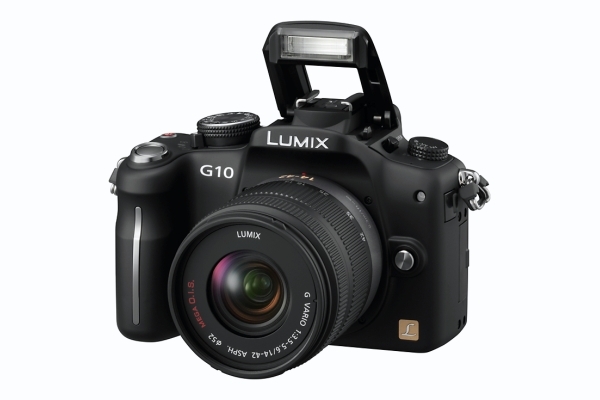 Panasonic designed the LUMIX G10 to be easy to use offers iA (Intelligent Auto) mode – with its shooting assist functions that have proven extremely popular in LUMIX compact cameras. Panasonic’s iA (Intelligent Auto), an easy shooting mode with automatic optimization according to the scene in either photo and video recording, is helpful to beginner users unfamiliar with an interchangeable lens system camera. With the new dedicated iA button, which illuminates in blue when engaged, activating this mode is even easier and can be used to shoot both photos and videos. When shooting still photos, iA offers the following: MEGA O.I.S., which helps prevent blurring from hand-shake; Intelligent ISO Control, which reduces motion blur by adjusting the ISO sensitivity if the subject moves; Intelligent Exposure optimizes exposure for each part of an image, preventing blocked shadows and blown highlights and helping ensure that gradation and details are reproduced properly; Intelligent Scene Selector detects the most common shooting situations – Portrait, Night Portrait, Scenery, Night Scenery, Close-up and Sunset – and switches to the appropriate Scene mode automatically – no setting changes needed. The LUMIX G10 can record 1280 x 720 HD video in Motion JPEG, QVGA, VGA and WVGA formats. Users can enjoy recording HD videos while taking advantage of the high quality lens and the flexibility to change to other lenses. Even users new to recording videos will find the LUMIX G10 makes it easy. Panasonic’s iA for video offers the following: Optical Image Stabilizer (O.I.S.) helps prevent handshake when using high-powered zoom; Face Detection automatically detects a face in the frame and adjusts focus, exposure, contrast, and skin complexion; Intelligent Exposure continually checks the ambient light level and adjusts the exposure setting as conditions change to prevent blown highlights and blocked shadows; Intelligent Scene Selector automatically switches between Normal, Portrait, Close-up, Scenery, and Low Light modes according to the situation to optimize visual quality. With AF Tracking, the LUMIX G10 can lock onto any subject and keep it in focus even if it moves – making it easy to get beautiful, clear shots of moving subjects, such as children and pets. Simply aim, lock, and shoot. The Face Recognition function remembers registered faces to give an appropriate AF/AE on the people. In playback, you can choose to display only photos that contain a specific registered face using Category Playback. The contrast AF system adopted by the LUMIX DMC-G10 is not only accurate and easy to use, but also very fast. Users can choose from a wide range of AF modes, including AF Tracking, 1-area AF, Face Detection AF/AE and 23-area AF. The LUMIX G10’s Live View Finder, with a resolution of 202,000-dot equivalent, 1.04x (0.52x*) retains the viewability of an optical viewfinder and displays information about its settings that users can see without removing their eye from the subject. The 60 fps Live View is powered by the Live MOS sensor, which takes signals directly from the image sensor and sends them continuously to the LCD, in real time. Both the Live View Finder and LCD provide approximately 100% field of view. This allows the user, when composing a shot, to check the framing accurately from corner to corner. The 3.0-inch large 460,000-dot high-resolution LCD with wide viewing angle automatically controls the brightness according to the situation as an Intelligent LCD. The 12.1-megapixel Live MOS sensor and the new Venus Engine HD II help to separate chromatic noise from luminance noise and apply the optimal noise reduction to each, so users can capture clear and beautiful images even when shooting at high ISO sensitivity levels. The high-speed, high-performance Venus Engine HD II, which has been re-engineered to incorporate the new image processing technology, Intelligent Resolution, enables the recording of beautiful photo and HD video with high quality signal processing. With Intelligent Resolution technology, three areas – outlines, detailed texture areas and soft gradation –are automatically detected. The outline parts are enhanced effectively to give edges increased clarity, while simultaneously giving a moderate accentuation to the textured areas so they look finely detailed. For the soft gradation areas, the improved noise reduction system of the Venus Engine HD II is applied to achiever a smoother effect. Apart from the uniform enhancement of sharpness, the innovative technology Intelligent Resolution precisely performs signal processing pixel by pixel in the most effective way, resulting in images that are naturally clear. All Panasonic LUMIX G Series digital cameras are equipped with the highly-efficient Dust Reduction System. If dust or other foreign matter gets inside the LUMIX G10 while changing lenses, it could cling to the image sensor and show up as a spot in your photos. However, with the Dust Reduction System, it helps eliminate this possibility by placing a supersonic wave filter in front of the Live MOS sensor. Vibrating vertically around 50,000 times per second, the filter repels dust and other particles effectively. My Color mode with a total of seven preset effects – Expressive, Retro, Pure, Elegant, Monochrome, Dynamic Art, Silhouette. Also includes Custom mode, which lets users manually set the color, brightness and saturation levels. For beginners, the LUMIX G10’s full-time Live View function lets users see how these settings will affect the images before they shoot, making it easier to capture the exact mood or atmosphere desired. Scene modes total 26, including the Peripheral Defocus mode, which lets users take a photo where the foreground is in focus and background is blurred – or vice versa. This popular effect can be intimidating for a beginner, but in the Peripheral Defocus mode, by simply selecting the objects to be blurred and focused using the camera’s keypad, it is simple for photographers of any level. Exposure meter can be displayed in the P/A/S/M shooting modes. The correlation between shutter speed and aperture is shown, with a color-coded warning system that alerts users when the settings are not in the proper range. For those new to system camera digital photography, this makes it easy to learn proper settings both visually and logically, enhancing their photography skills. 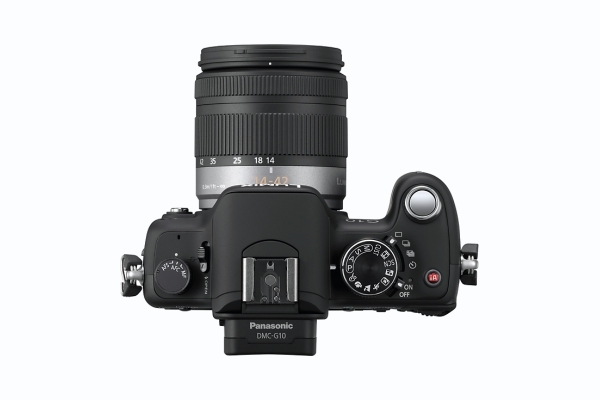 The Panasonic LUMIX G10 is compatible with Micro Four Thirds System lenses, allowing users even higher levels of performance in a digital interchangeable lens camera. In addition to LUMIX G lenses, the LUMIX DMC-G10 and LUMIX G Micro System can use any interchangeable lens that complies with the Four Thirds standard via an optional mount adaptor DMW-MA1 and with the prestigious Leica M/R Lenses via DMW-MA2M or MA3R. 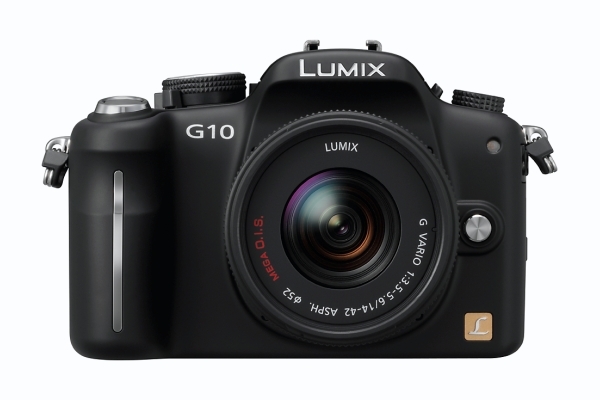 Pricing and availability for the Panasonic LUMIX G10 will be announced 30 days prior to shipping date. It will be available in black. To learn about the Panasonic LUMIX Micro Four Thirds System and all the available accessories, visit www.panasonic.com/lumix.